The autonomous sail boat is the result of a partnership between Florida Atlantic's harbour Branch and 4-Ocean. PAHOKEE, Fla.-- It’s February, and there are visible streaks of algae at the Pahokee Marina. Nothing to worry about, or a sign of things to come? 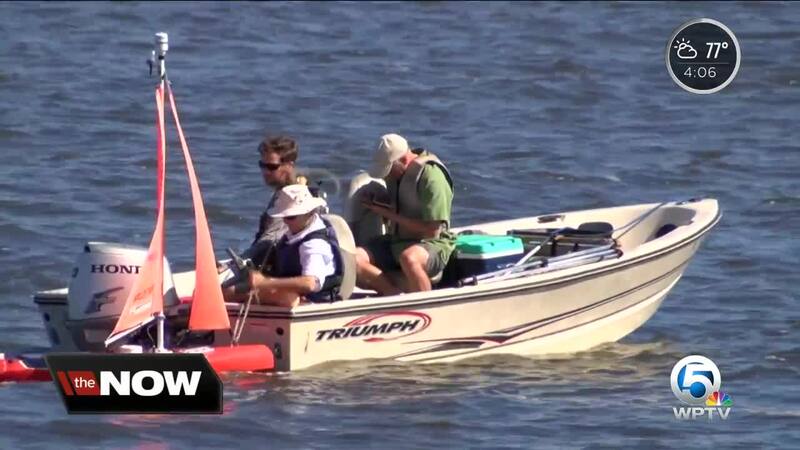 Scientists from Harbor Branch , partnering with Boca Raton-based 4Ocean, showed off a new autonomous vessel. 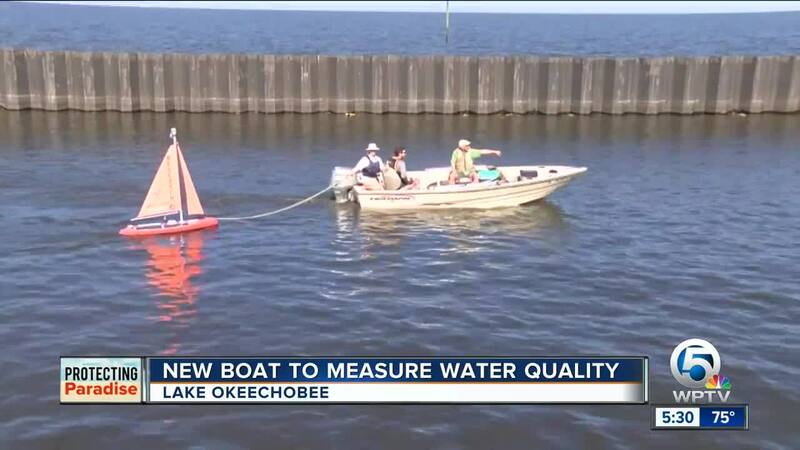 It will be launched into Lake Okeechobee to look for signs of algae blooms. “Perhaps a little bit of evidence of a bloom in the dry season. That’s going to give us a good way to compare what we see later on in the wet season when the bloom is more intense," said Dr. Jordon Beckler with FAU Harbor Branch. The boat is about 2 meters long. Water quality data will be sent from the boat via satellite to a NOAA office where it will then be published online in real time. The boat provides more flexibility for researchers. “Where a vehicle can go out and cover mobile ground. Gets more than a single data point like a buoy and can do so over a long period of time," said Scott Duncan with 4ocean. The boat has been used out on the west coast in Sanibel to measure red tide. This is the first time it’s being used inland to monitor blue green algae. The boat can cross the lake in about a day. Its first mission will be on the water between eight and ten days.